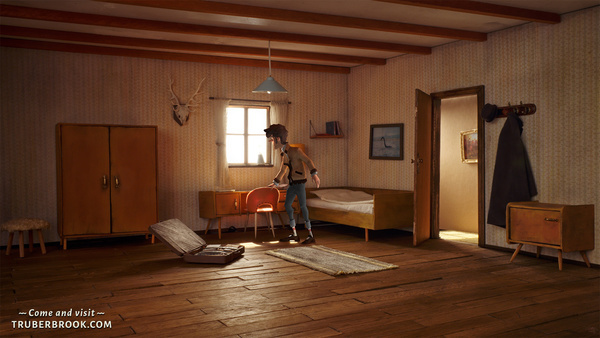 German video game publisher Headup Games is a studio that knows how to publish a gorgeous adventure game. 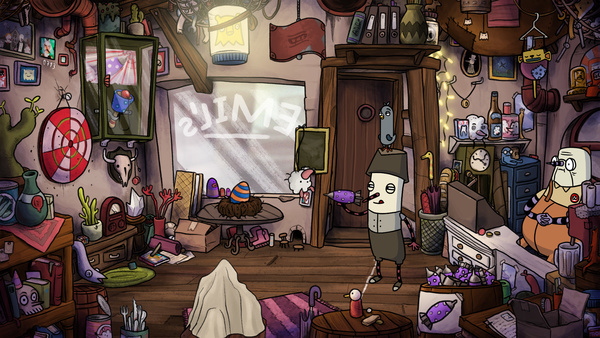 In 2013 they transported us to the wind monastery of Asposia and introduced us to a strange-nosed yet charmingly clueless, court musician named Robert in the creative and original 2D point-and-click adventure, The Inner World. Next week, nearly 4 years after (to the day of) the original’s iOS release, Headup will be launching the sequel, The Inner World – The Last Wind Monk on both iOS & Android. I got to see a sneak peek of The Last Wind Monk at PAX East earlier this year and it looked absolutely amazing. The graphics and voice work were phenomenal and the puzzles were inventive. 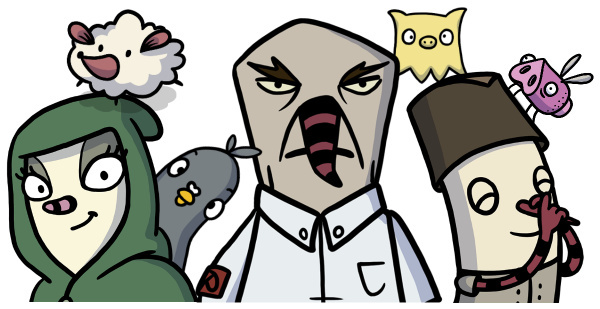 The game was just brimming with charm and loads of fun, offbeat new characters. Taking place shortly after the events of the first game, players will go on a brand new adventure with Robert, Laura and pigeon Peck as they enter a world full of mystery and try to save the family of the flute-nose. Unlike the first game, The Last Wind Monk enables the player to switch between all three of the main characters, allowing opportunities for even more complex and creative puzzles. I can’t wait to finally check out the full, final release next week, I think point and click adventure fans are gonna be thrilled. In the meantime you can check out the trailer below. Today, Headup Games just launched a Kickstarter campaign for a stunning looking new sci-fi mystery adventure game called Trüberbrook. Set in 1960s Germany, players take on the role of Hans Tannhauser, a young American scientist on a free vacation (he won in the Lottery) in “a remote village in rural, mountain-sloped and densely forested cold-war Germany”. However instead of getting a little R&R he finds himself having to save the world. Headup is billing it as “Twin Peaks meets The X-Files, but in rural cold-war Germany”. In addition to its interesting storyline, the game has a really unique look and feel, thanks to the fact that all of the game’s scenic sets are genuinely handmade. The models are digitized using a technique called photogrammetry and later retopologized, digitally polished and then blended with animated characters, visual effects and set extensions. The Kickstarter campaign is scheduled to run for 30 days and has a funding goal of $93k and is already 69% funded at the time of this post. Should the project fund successfully, the final game is scheduled for late 2018 release on Windows, Mac, Linux (all DRM free & via Steam), PlayStation®4, Xbox One and Nintendo Switch. You can check out the trailer below and the Kickstarter campaign for more details.